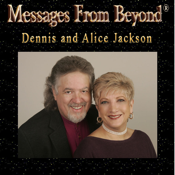 Dennis and Alice Jackson are Twin Soul Psychic Mediums who appear on television and radio all over the United States and this app is the way for their fans and friends of their fans to stay on top of what is happening with them. This app will keep fans coming back to check for special prices and new events. 1. Unlock coupon rewards for frequent visits. 2. Receive exclusive mobile coupons. 3. Email us photos to appear on our website and this app. 4. Stay up to date with our appearance schedule at your convenience. 5. View last minute added venues where we will be appearing. 6. Stay up to date with our TV schedule.